Ontario municipalities may be single-tier (e.g., Toronto, Hamilton, Barrie) or two-tier. 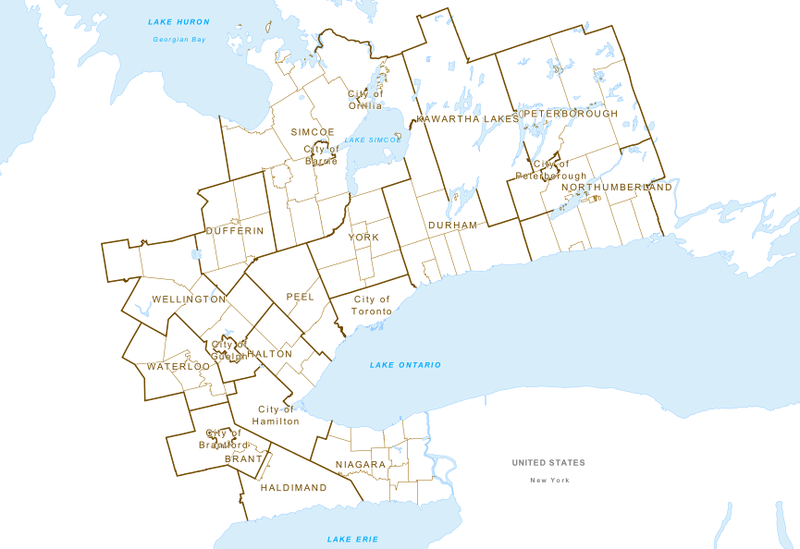 In the latter category, the upper tier is either a county (such as Brant or Wellington) or a regional municipality (such as Halton or Waterloo). An upper-tier municipality is one formed by two or more lower-tier municipalities. Municipal responsibilities set out under the Municipal Act and other Provincial legislation are split between the upper-tier and lower-tier municipalities. A single-tier municipality is one that does not form part of an upper-tier municipality for municipal purposes and assumes all municipal responsibilities set out under the Municipal Act and other Provincial legislation. 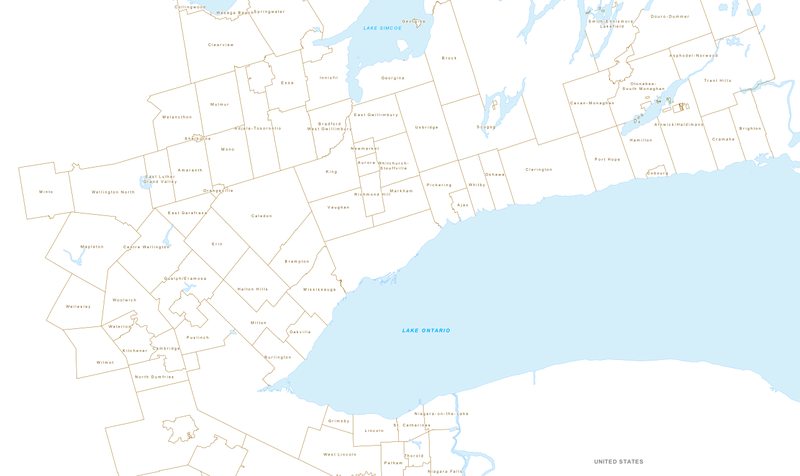 Municipal Boundaries of Ontario 2004, Ministry of Municipal Affairs and Housing, Ministry of Natural Resources, Statistics Canada.